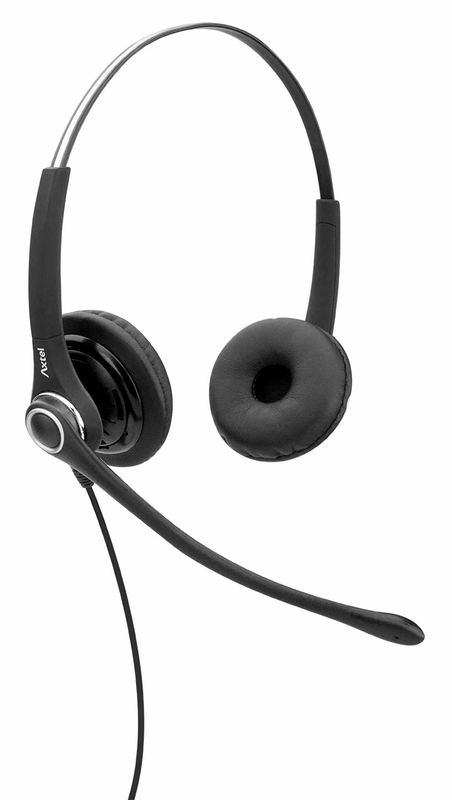 The Axtel PRO XL Duo NC WB is a robust and affordable headset. As part of the Axtel PRO headset series, it features wideband audio, a noise-canceling microphone, and a comfortable 'XL' earplate the covers your ear completely. With a comfortable binaural design, both ears are covered for maximum audio isolation in noisier call center environments.